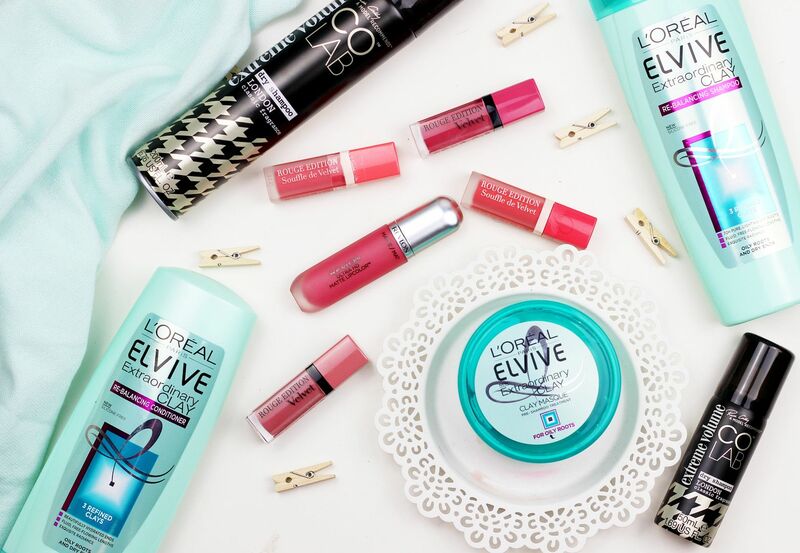 You pop into Boots to buy one thing and end up with a bag full of goodies. I know it’s not just me, right? I did actually mean to pick up the L’oreal extraordinary clay shampoo, conditioner and masque. This has been on my radar for a while because it looked so interesting, and my best friend had it in her shower so I sneakily tried the shampoo and conditioner at the weekend. I really liked it, and it made my hair feel soft so I bought the trio to try out in more depth. More hair stuff – the Colab extreme volume in the London scent. Love this stuff – the extreme version is much better than the regular, in my opinion. The extreme one isn’t as powdery as Batiste, but it massively makes a difference to my hair. Top tip – always leave in overnight. I also picked up a baby one because it was on offer and it’s perfect for my bag. Then things got a little bit lippy… oops. Definitely have a peachy pink theme going on here. I got four liquid lipsticks from Bourjois – I am a big big big fan of liquid lipsticks, so I wanted to delve deeper into the drugstore offerings. I hadn’t heard anything about the soufffle velvet ones, but they swatched beautifully and I can’t wait to try them more. I got VIPeach and Ravie en Rose. Mmm. I also got two pink ones from the regular velvet range – So Hap Pink and Don’t pink of it. Lastly I got one of the new Revlon ultra HD liquid lipsticks in the shade Devotion, which didn’t seem matte but I wanted to try it out. Have you got any drugstore gems recently? Does anything here catch your eye? Anastasia Glow kit in Gleam.